Searching for the Best Kitchen Designer in Colorado Springs? Searching Google on "best kitchen designer near me?" You found them! Visit our Colorado Springs showroom. Call for a in-home consultation & free 3D rendering. Want a brand new look for your kitchen? Remodeling a kitchen is a big step to make in your home but it can be one of the best investments you can make into the value and functionality of your house. 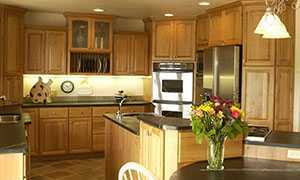 Designer Kitchens has been helping Colorado Springs residents fall in love with their kitchens since 1989. We have mastered the art of kitchen design and bring our value, experience and love of design to every project. Outdated appliances, poor planning, tacky counters or flooring: these are all complaints we get from people visiting our Colorado Springs showroom about their current kitchen. Sometimes a look that you once loved just falls out of favor as you get older, or the design just doesn't function for your needs any longer. There are many reasons to have your kitchen remodeled. No matter what your reasoning, choosing a qualified and experienced Colorado Springs kitchen designer to help you plan your project is going to be your best option if you want to really love the new design. We offer two designers on every project which helps give you two fresh perspectives on your project. You're guaranteed to love the result. Designer Kitchens' expert designers are CKD certified, which means they have current, up-to-date knowledge of best kitchen design practicies, regulations and Colorado Springs building codes. When you work with a kitchen design specialist then you know that your new construction kitchen or kitchen remodeled is being overseen by someone with years of experience doings projects just like yours. 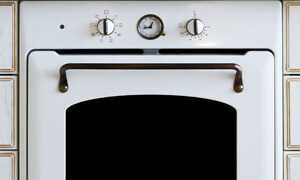 Rest assured that you will receive the best advice for choosing your appliances, cabinets, and more.